nick-miley. 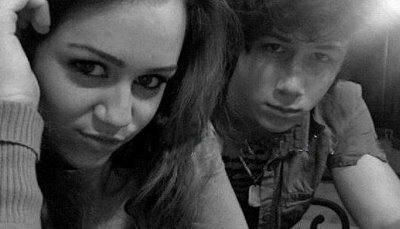 miley cyrus nick jonas. Wallpaper and background images in the Miley Cyrus and Nick Jonas club tagged: miley nick and jonas jonasbrothers smileymiley. OH NO! NICK HEATING ON MILEY! I don't think I've seen nick smille but he has a cute squint.